The New Adventures o f Sherlock Holmes was an old-time radio show which aired in the USA from October 2, 1939 to July 7, 1947. Most episodes were written by the team of Dennis Green and Anthony Boucher. Originally, the show starred Basil Rathbone as Sherlock Holmes and Nigel Bruce as Doctor Watson. Together, they starred in 220 episodes which aired weekly on Mondays from 8:30 to 9:00pm. Bromo Quinine sponsored some of the earlier programs on the NBC Blue Network and for a period Parker Pen was the sponsor. The show first aired on the Blue Network but later moved to the Mutual Broadcasting System. It was originally broadcast from Hollywood. During World War II, the show was also broadcast overseas through the Armed Forces Radio Service. It is unknown exactly how many of the original 220 shows have survived, 53 are currently known to be in circulation. Basil Rathbone’s last episode as the famous Detective was “The Singular Affair of the Baconian Cipher.” He was eager to separate himself from the show to avoid being typecast as Sherlock Holmes, and even though the show’s sponsor Petri Wine offered him generous pay to continue, he decided to move on. Once he did, the sponsor did as well, and Tom Conway took the starring role, though Nigel Bruce got top billing and was always announced first. The new sponsor was Kreml Hair Tonic for Men, and the new series lasted only 39 episodes. Bruce and Conway then left the series. From then until 1950 the series continued as “Sherlock Holmes” with various actors playing the two principal parts. 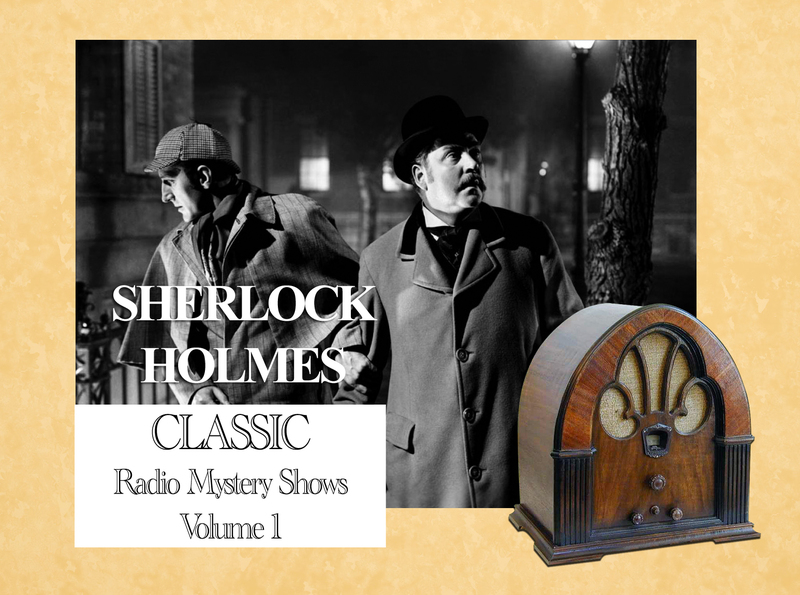 Categories: Store | Tags: Audio, Download, Episodes, MP3, Mystery, Radio, Sherlock Holmes, Suspense | Permalink.